Are you ready to feel safe? To feel loved? To feel happy? 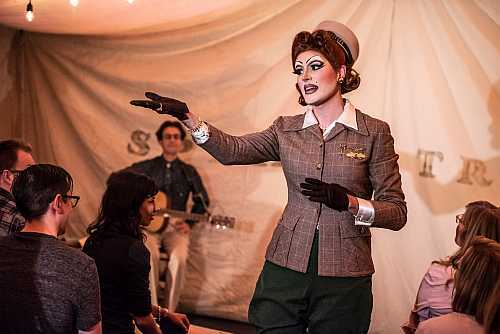 Come on up to Pearle Harbour’s Chautauqua at Theatre Passe Muraille and feel great, for 80 minutes. And smile every time you think about it afterwards. 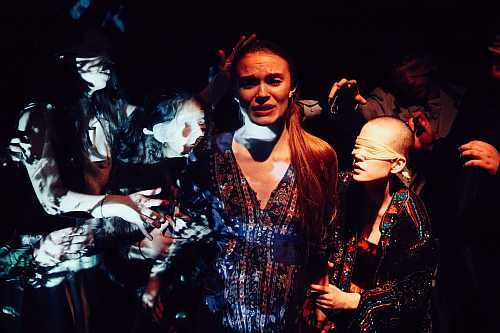 The Nether, playing at Coal Mine Theatre, is the first joint production between Coal Mine Theatre and Studio 180 Theatre. I hope it’s not the last. It’s an exceptional production, a study in contrasts. Given that Jennifer Haley is a playwright whose work “delves into ethics in virtual reality and the impact of technology on our human relationships, identity, and desire” it’s no surprise that the play leaves us asking ourselves some tough questions. After I got home from seeing A Little Black Lie at the Berkeley Street Theatre I took a minute to look at the program. In the playwright notes Troy Crossfield says “Looks like we’re creating a soap opera and you get front tickets.” He’s referring to his play, A Little White Lie which was on stage a year ago. It’s referenced a fair bit in A Little Black Lie but you don’t need to have seen it, the references are self-explanatory. Cue6 Theatre’s production of Dry Land opened on Friday at The Assembly Theatre. Playwright Ruby Rae Spiegel was only 21 when the play was first produced. One of the things that motivated her was reading an article about the rise of DIY abortions. Given the changes to the laws in the U.S. over the past few years it’s a timely topic. It’s one we can’t afford to ignore here either. Unfortunately. 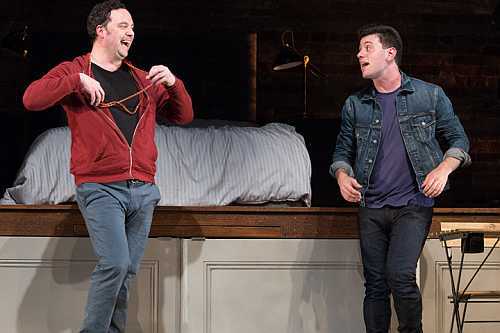 Soulpepper Theatre brings Delightful Bed and Breakfast to the Toronto Stage. Soulpepper has extended their production of Mark Crawford’s play, Bed and Breakfast, to September 8th. It’s easy to see why. It’s very funny, very fast, and it has 21 characters played by two actors – Gregory Prest as Brett and Paolo Santalucia as Drew – who change characters in the blink of an eye. In the SummerWorks program it said that The Artist’s Children by Liv Hussey would receive ‘a play workshop reading’. I interpreted that as a staged reading. I’ve enjoyed the staged readings that I’ve seen in the past so chances were I would like this. I did. It doesn’t feel appropriate to review a reading but it was lovely and I was glad I was there. Are you old enough to remember ads in the personals, life before online dating? Brian Francis is. 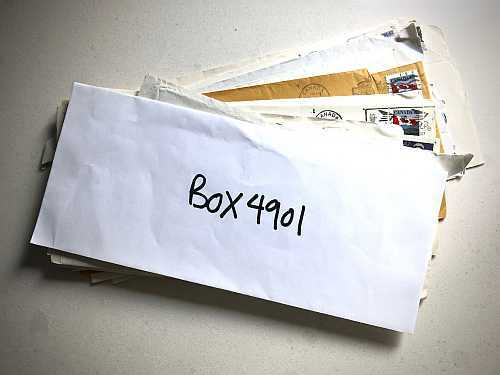 In Box 4091, part of SummerWorks, he answers 13 replies to an ad he placed in the London Free Press in 1992 when he was 21. He found the letters recently and reread them. He hadn’t responded to them at the time, for various reasons. To me, it’s amazing that he kept the letters in the first place. Francis starts with some background about why he placed the ad, about how difficult it was to live in a house with four straight men, that it was hard to meet other men, and that he was only emerging from the closet, not everyone knew he was gay. 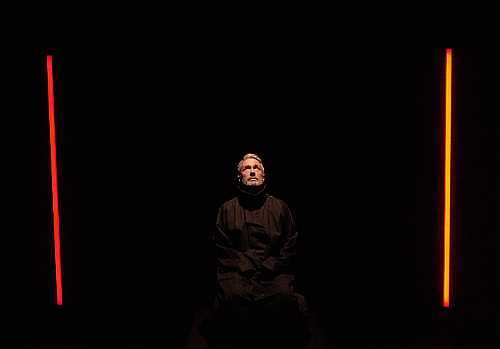 On Saturday afternoon I saw 35 minutes of amazing, heartrending, theatre performed in Arabic with English subtitles. 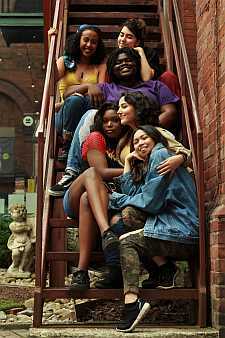 Adrenaline is produced by Theatre Mada in Kitchener, a collective of Arab theatre artists living in the Waterloo Region, and is part of SummerWorks. Arriving about four minutes late for Lion Womxn, The Amy Project’s production for SummerWorks because of a streetcar backup, I had to discretely text my editor to let her know that I had indeed made it in after all, and then dig in my bag for a pen and my notebook.